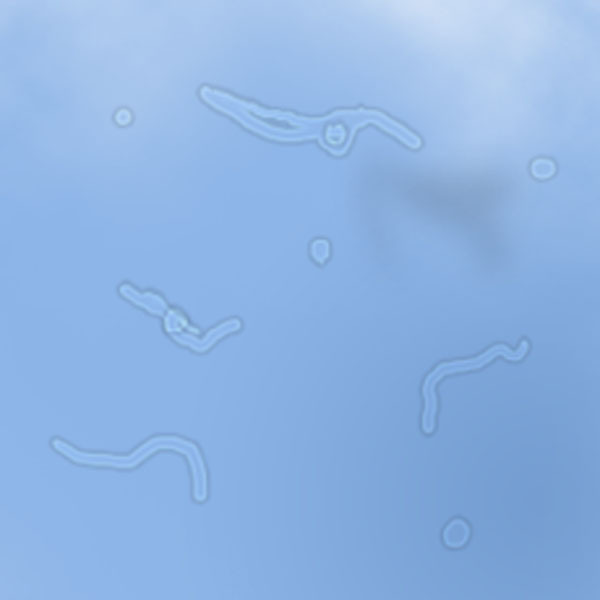 Floaters, sometimes called spots, are small, and semi-transparent or cloudy particles that float within the vitreous, the clear, jelly-like fluid that fills the inner portion of your eyes (See Figure 1 below). Floaters are usually harmless and are seen by many of us at one time or another. They generally look like translucent specks of various shapes and sizes or like cobwebs. They are frequently visible when you are looking at a plain-lighted background like a blank pastel wall, a blue sky, or the white pages of a book (See Figure 2 below). Floaters become visible when they fall within the line of sigh and cast a shadow on the retina (the light sensitive portion of the back of the eye). There are a number of possible causes for floaters. They may be small flecks of protein or other matter that were trapped during the formation of your eyes before birth and remain suspended in the clear fluid of the vitreous. Sometimes flashes or streaks of light may appear. This may be happening because the jelly-like vitreous is shrinking and pulling on the retina. 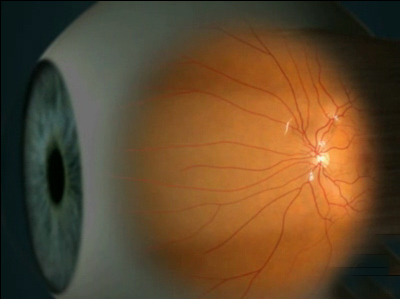 The retinal receptor cells are stimulated to “fire” by this tugging action and cause the perception of light flashes. Vitreous shrinkage can continue and result in a part of the vitreous actually becoming detached or peeled away from the back of your eye. Flashes, floaters, and vitreous detachment are common and only infrequently lead to serious eye problems. While flashes and floaters can be symptoms or signs of either vitreous detachment or retinal detachment, vitreous involvement occurs far more frequently and usually requires no treatment. It is important to have a comprehensive eye health examination soon after experiencing flashes or floaters, or if you become aware of an increase in the number or intensity of flashes or floaters. In a comprehensive examination, your doctor of optometry can use a variety of special instruments to look at the vitreous, the retina and the other interior parts of your eyes to determine the causes of the flashes and floaters that you see. That’s why regular optometric examinations are an important part of keeping your eyes and vision healthy.